Are you planning to attend a festival this year? Liverpool is a city bursting with energetic and multi-cultural activities welcoming to people of all walks of life. 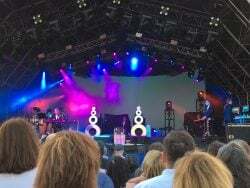 Festivals and other events take place in the city all year round, covering a wide range of interests from music and food to celebrations of international culture. After its inauguration in 2008 as part of Liverpool’s European Capital of Culture celebrations, Sound City has since become an annual event and one of the city’s favourite music festivals. The festival largely focusses on providing a platform for new artists to showcase their talents and 2019 promises to offer the most diverse lineup yet. This year’s acts will include Mabel, The Tea Street Band, Loyle Carner, Our Girl and 100s more! Sound City will be returning to the Baltic Triangle this May where a range of venues will play host, including iconic warehouses, outdoor stages and intimate spaces. As well as live music, guests can also expect to experience locally brewed real ale, exquisite street food and workshops, including the Sound City+ conference which will offer exclusive insight into the industry and provide networking opportunities. The festival takes place on the Bank Holiday weekend (3-5th May) and tickets can be purchased from £25. If you’re after a star-studded lineup featuring acts from across the world, then the Liverpool International Music Festival should be a priority on your list. LIMF will feature show stopping live performances from artists all over the globe as well as emerging acts. 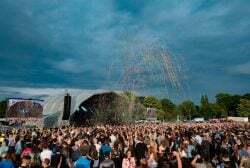 While the 2019 lineup is still to be announced, previous years have featured the likes of Example, Wiley, Jax Jones and Sigma. Expect to see major performances, DJs and activities to entertain the whole family. There’s also the LIMF Academy program which aims to find the next best talent. LIMF will be at Sefton Park on July 20 & 21 with tickets now available for purchase from £6. Get an advanced VIP ticket and you will have access to a luxury VIP area with a private bar! Africa Oye is the place to be to celebrate the music and culture of Africa. This festival will feature live music, DJs and dance, workshops, food stalls and a range of traders. The lineup is still forthcoming with the first main stage artists set to be revealed in February. Last year’s headliners included Rocky Dawuni, Inner Circle and Orchestre Poly-Rythmo. 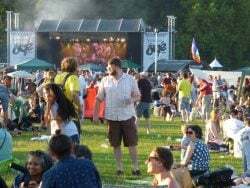 Africa Oye is another festival that will be taking place in Liverpool’s iconic Sefton Park on June 22 & 23. Best of all, despite rising infrastructure and growing demand, the festival will continue to be open for the public at no cost! Liverpool is a proud and welcoming city that doesn’t accept discrimination. Pride Weekend is the perfect time for the LGBTQ community to march together and celebrate diversity and equality for all. 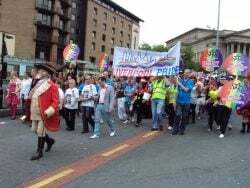 The march is the largest annual event of its kind in the city and lands on the anniversary of Michael Causer’s death who was tragically killed in a hate crime 11 years ago. Details of 2019’s event are still under wraps, but organisers have teased that big changes will be coming. Pride Weekend is a free event which usually lands on the last weekend in July. The the march takes place throughout the city centre and is followed by live performances from big names within the music and entertainment industry. 2018’s event moved to Tithebarn Street where Sophie Ellis Baxtor and Courtney Act headlined. Get your Samba on at the Brazilica Carnival in July! Brazilica is the largest celebration of Brazilian culture in the UK having commenced in 2008. This Latin American festival sees the streets of Liverpool fill up with performers, samba sounds and vibrant colours. Even the iconic Formby Beach statues got dressed up for the occasion in 2018! Details on 2019’s festival will be revealed in the coming weeks but it has been announced that the main carnival will take place on Saturday, 13th July. Last year’s Main Music Stage took place on the Pier Head where live performers, DJs and samba drumming kept guests entertained.The Carnival Parade started at Abercromby Square and finished at Williamson Square. Why should you have to worry about transport when you simply want to enjoy your time? The truth is you don’t have to. We know festivals can run late in the night, are sometimes hosted in rural areas and it can be a nightmare sorting travel for large groups. With Maghull Coaches you can rest assured that we have a fleet of minibuses and coaches suitable for your festival transport. You don’t have to worry about public transport. Instead, our experienced drivers will pick you up and drop off at times best for you. If you are interested in any of our services, whether you require a coach or minibus, can you request a quote online or call our team on 0151 922 4284 or 0151 933 2324. Maghull Coaches Ltd is a family-run, locally based company, with nearly 50 years experience within the travel industry. We offer a fully managed transport solution for schools, companies, individuals and the tourism industry.